When used by recommended techniques, the reagent will cause agglutination (clumping) of red blood cells carrying IgG, in the antiglobulin phase of testing. No agglutination usually indicates the absence of IgG. 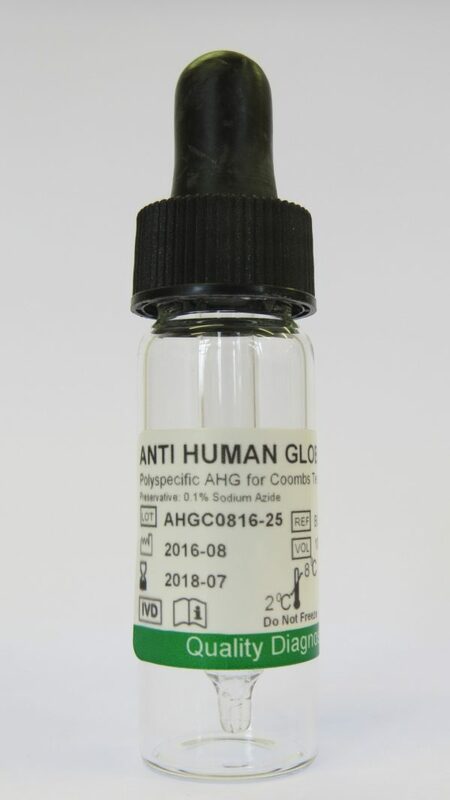 Rapid Labs Monospecific Anti-Human IgG Clear and Anti-Human IgG Green reagents contain anti-IgG derived from rabbits. All non-specific activity is removed by absorption. The reagent is supplied at optimal ready to use dilution for use with spin tube techniques (DAT & IAT).